1. Why should I bring my child to see a pediatric dentist? Just as a pediatrician treats your child’s heath needs, a pediatric dentist is trained to treat your child’s oral needs. A pediatric dental specialist has received two to three additional years of training after dental school to specifically treat children. 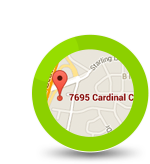 At All Smiles Pediatric Dentistry in San Diego, our office was designed to meet the needs of your child. The office is a vibrant place where your son or daughter will be welcomed and encouraged to learn and practice great oral hygiene habits. 2. When will my baby start getting teeth? Teething, the process of baby (primary) teeth coming through the gums into the mouth, is variable among individual babies. In general, the first baby teeth that appear are usually the lower front teeth and they usually begin erupting between the age of six and eight months. 3. At what age should I bring my child for the first visit? Age 1. The American Academy of Pediatrics and the American Dental Association recommend having your child’s first dental checkup at age 1 or when the first teeth erupt. 4. How can I prepare my child for visiting the dentist? Play mimicking games with your child to “open wide.” Use a washcloth to wipe your child’s teeth after each feeding. Have your child see you actively participating in good oral habits like brushing and flossing. Most importantly, maintain a positive attitude. A child can notice apprehension and fear from a parent. If you or your child are apprehensive about his or her first visit, you can bring your child in for a pre-tour of our office. Also, show your child pictures of our office and staff on our website. Let your child know that it is important to keep his or her teeth and gums healthy, and that the doctor is there to help. 5. Why are baby teeth important for my child? Primary or “baby” teeth are important for many reasons. Not only do they help children speak clearly and chew naturally, they also assist in forming a path that permanent teeth can follow when they are ready to erupt. It is also important to start introducing your child to good oral hygiene habits and regular dental check-ups when they are young, to insure a long life with good oral health. 6. What are dental caries or dental decay? Dental caries (dental decay) is the most common chronic disease of childhood. If your child is diagnosed with cavities, a comprehensive treatment approach will be employed. Since the cause of the dental decay is bacterial in nature, restoring the cavities is not enough. The comprehensive approach must address controlling the bacteria and identifying the steps for prevention of future decay. If this is not done, your child will continue to develop new cavities in untreated areas. The age of your child is also very important. The younger your child is, the more challenging it is to control the caries process. Treatment options will also be based on your child’s age and level of cooperation. 7. How can I prevent tooth decay from a bottle or nursing? 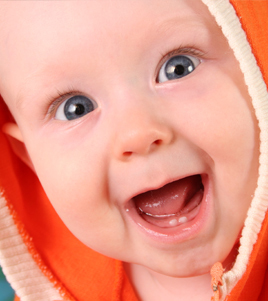 You can definitely play a role in decreasing your child's risk for baby bottle tooth decay. Encourage your child to drink from a cup as he or she approaches the first birthday. Children should not fall asleep with a bottle containing anything but water. At-will nighttime breast-feeding should be avoided after the first primary (baby) teeth begin to erupt. Drinking juice from a bottle should be avoided. When juice is offered, it should be in a cup. 8. When should bottle feeding be stopped? 9. When should my child begin using toothpaste and how much should we use? Fluoridated toothpaste should be introduced when a child is two years of age. Prior to that, parents should clean the child’s teeth with water and a soft-bristled toothbrush. When toothpaste is used after age two, the child should be supervised to make sure he or she uses a ‘smear’ of toothpaste, just enough to create foam on the toothbrush. Children should spit out and not swallow excess toothpaste after brushing. After age three, a pea-sized amount should be used. 10. How often should I brush my child’s teeth? After each feeding, wipe the baby’s gums and teeth with a damp washcloth or gauze pad to remove plaque. The easiest way to do this is to sit down and place the child’s head in your lap. Children and adults should have their teeth brushed at least two times every day. 11. Why do you recommend fluoride? Fluoride helps your child’s teeth remain strong and healthy. Getting an adequate amount of fluoride until the age of 16 is necessary to allow proper enamel development. 12. Are dental X-rays necessary for treating my child? X-rays (radiographs) are an important part of your child’s dental diagnostic process. Without them, certain dental conditions can and will be missed. X-rays detect much more than cavities. If dental problems are found and treated early, dental care is more comfortable for your child and more affordable for you. Pediatric dentists are especially careful to limit the amount of radiation to which children are exposed. At All Smiles Pediatric Dentistry, we decrease radiation exposure by using a protective lead apron and the latest digital X-ray sensors, which require even less radiation than previous generation digital X-ray systems. 13. Can I stay with my child during the visit? We invite you to accompany your child during his or her checkup dental appointments. As the little one gains confidence, we request that you allow your child to come back with our dental staff for future dental appointments. For the safety and privacy of all patients, other children who are not being treated should remain in the reception room with a supervising adult. We would be happy to talk to you about our policy for treatment and sedation appointments. 14. How important is a balanced diet in preventing dental decay? Very important. A daily diet should include all the major food groups of meat/fish/eggs, vegetable/fruit, bread/cereal, as well as milk and other dairy products. Snacking should also be limited. 15. What are dental sealants? A sealant refers to a plastic material that bonds into the grooves of the chewing surface of a tooth to prevent the formation of dental decay. 16. Are athletic mouthguards really necessary for sports activities? A mouthguard protects the teeth from possible sports injuries. In addition, it also protects the lips, cheeks, tongue, and jaw bone. Most injuries occur to the mouth and head area when a child is not wearing a mouthguard. Custom mouthguards provide the most comfort and best fit for your child’s mouth. Ask Dr. Job if a mouthguard will be beneficial for your child’s sports needs. 17. How often should I bring my child in for routine dental checkups? Every six months. By seeing your child every six months, we can clean the teeth so they are free of plaque and tartar before serious problems develop. Children grow and change very quickly, so with regular check-ups, Dr. Job will not only check for dental decay, but also observe any irregularities in the teeth spacing, bite, tooth mobility, and facial structure. If any problems have developed since the last visit, Dr. Job can apply appropriate and effective treatment. In addition, regular dental checkups at an early age will help your child accept good dental care as part of the normal routine. To schedule your child's next dentist appointment, give us a call at (858) 737-9000 today! You can also request an appointment online through our website and we'll reach out to you as soon as possible. 18. Where can I find more information about oral health care for my child?